Choa Chu Kang Stadium, Wednesday, April 7, 2010 – Chan Sheng Yao of Hwa Chong Institution won gold in the C Division Pole Vault when he cleared 3.80m at the 51st National Inter-School Track and Field Championships. 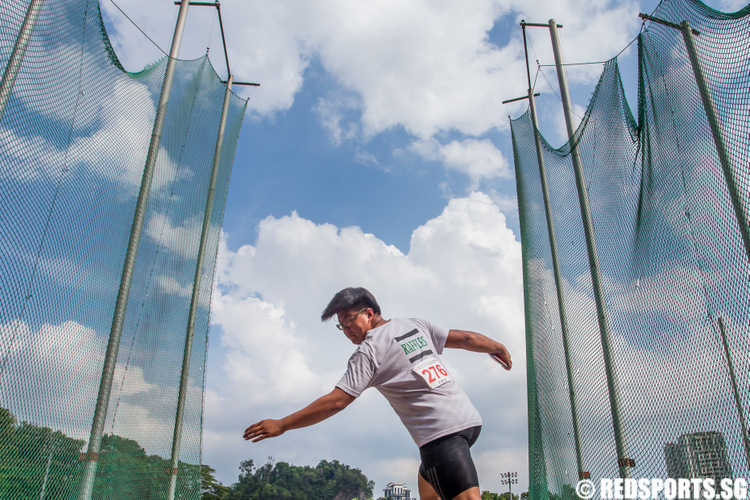 In so doing, he broke the old record of 3.60m set in 2002 by Chua Wei Da of The Chinese High School. 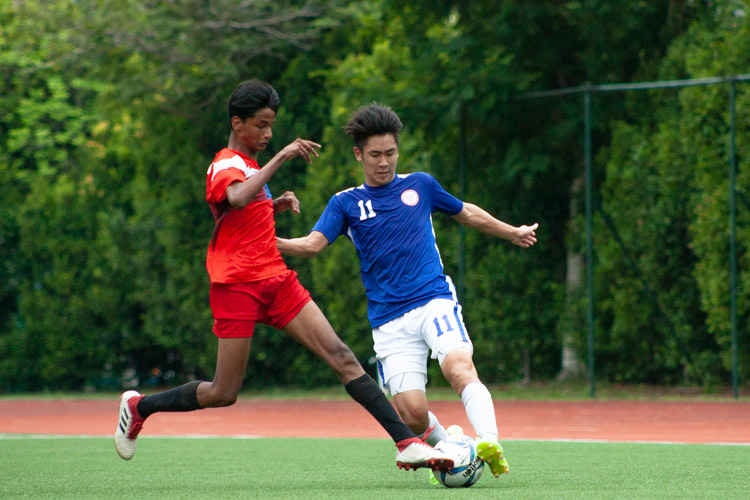 Wei Da, who is now studying at the National University of Singapore, saw his second record broken in the space of three days. His A Division record of 4.31m in the same event was bettered by a trio of vaulters on Monday. 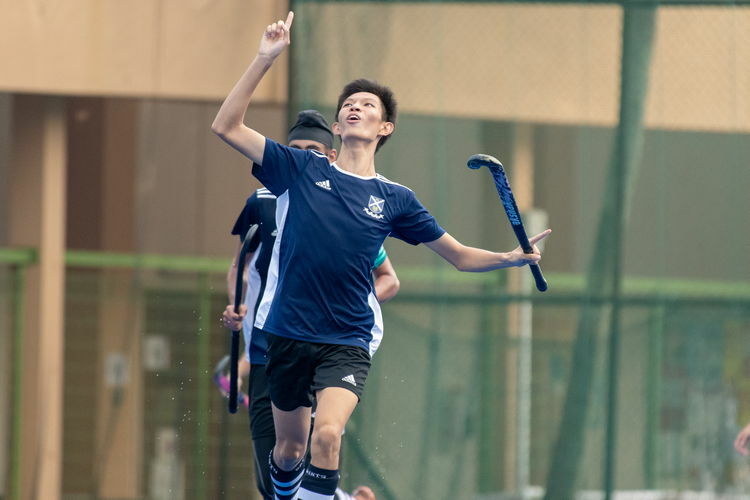 Hwa Chong Institution’s Benjamin Ng and Sean Lim, and Jacob Yao from Raffles Institution, all cleared 4.40m to clinch the top three positions. Jessica Lee from Victoria Junior College won her first high jump gold medal of the Championships when she was the only jumper to clear 1.50m in the girls’ A Division. Jessica had won gold in the B Division Long Jump last year. In the boys’ C Division Discus final, Catholic High’s Brian See led a 1-2 finish for his school when he threw a distance of 43.60 metres. 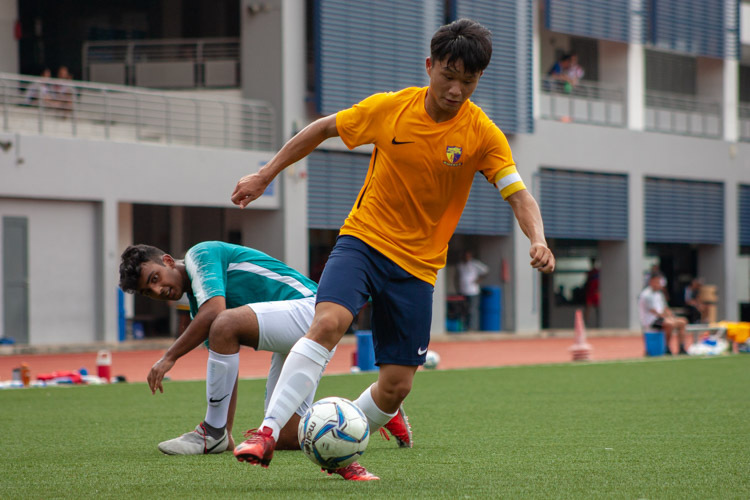 School mate Ong Yan Zhi finished second, but Hwa Chong Institution placed throwers in the third, fourth and seventh positions to pick up crucial points to add to their divisional title lead. 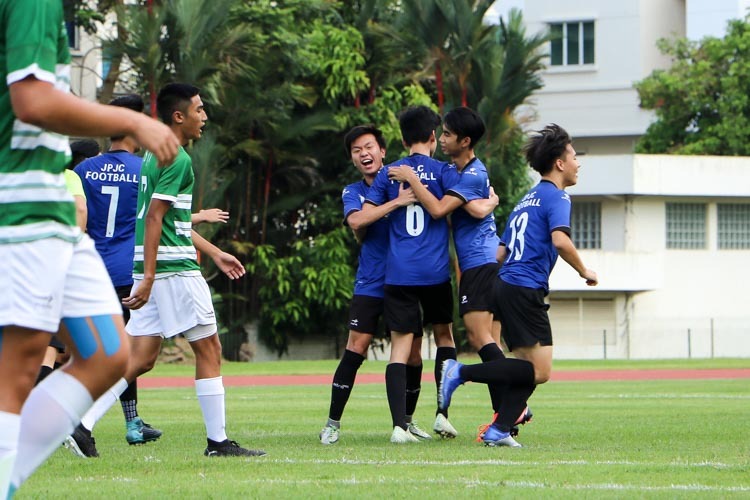 Hwa Chong leads Catholic High by 34 points. Over on the track, there were only two finals that were run. 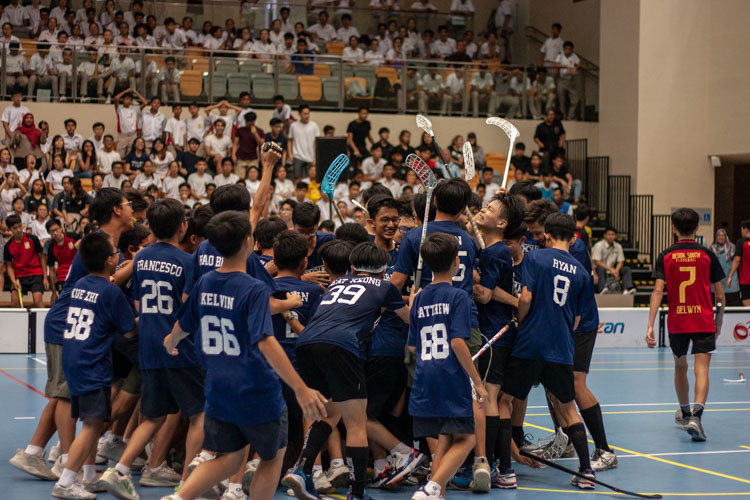 Cedar Girls’ School’s Cheryl Chan added to her 3000 metres C Division crown from last year by winning the B Division race. 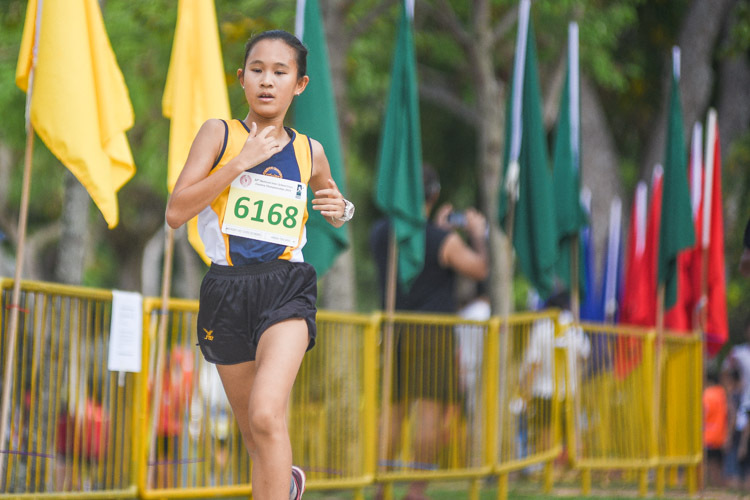 She edged out team mate Romaine Soh by less than a second, finishing in 11 minutes 51.51 seconds, as the two Cedarians were the only runners to go below 12 minutes in the field of 16. 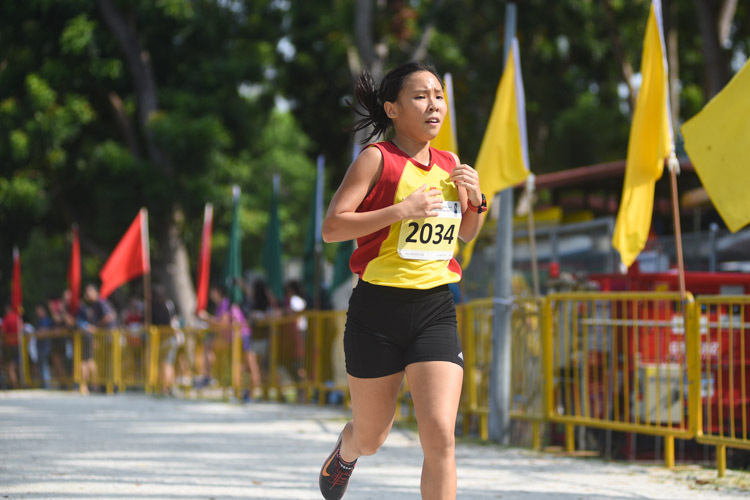 Sports School’s Nicole Lum picked up her second long distance title in two weeks when she won the Girls’ C Division 3000m in a time of 12:06.93. She was also the individual champion in the Schools’ Cross-Country meet. 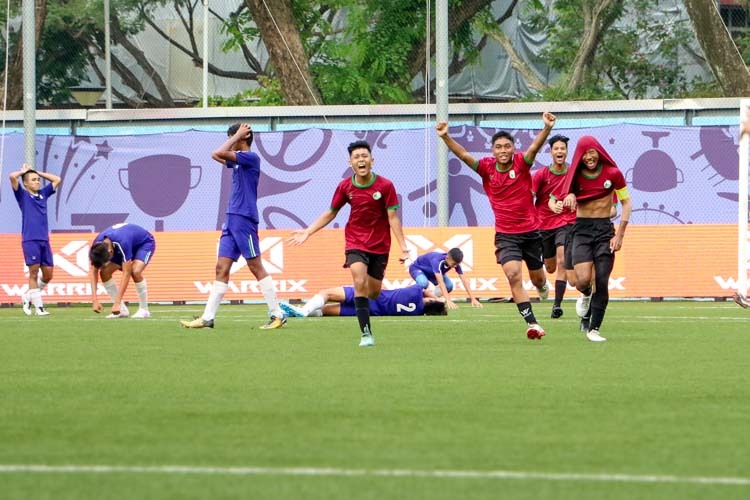 Qualifying heats and semi-finals for the 100 metres, 400 metres hurdles and sprint relays also took place, and the pick of the bunch was Shahrir Mohd Anuar’s blistering 10.90 seconds showing in the semi-finals of the Boys’ A Division century sprint. 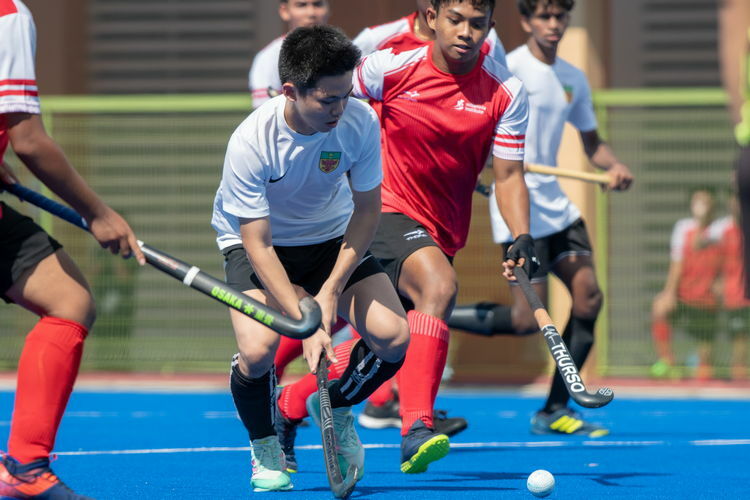 The Raffles Institution student was left out of the Youth Olympic Games shortlist, which was put together by the Singapore Athletic Association after results from the three All-Comers meets and the National Junior Championships. 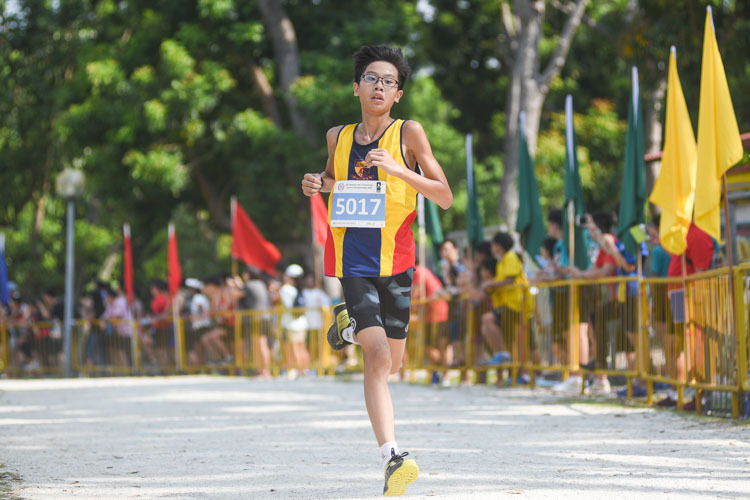 Hwa Chong’s Donovan Chan was nominated instead, but Shahrir more than staked his claim for a YOG spot by running his fastest time since last April’s National Schools meet, when he clocked the same 10.90 time to win the B Division boys title.